Born: July 6, 0106 U.C. Seabook began as simply an engineering student from the colony of Frontier IV at the Frontier Side (formerly Side 4) and presumingly, a Newtype where by this time, they were long forgotten and became figures of legend. 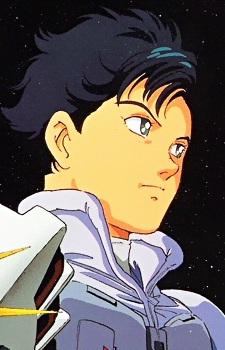 He also bears resentment to his mother, Monica Arno, for abandoning her family to devote herself to her research in the bio-computer being utilized for mobile suits like the F91 ("F" for Formula) Gundam F91. Which he eventually pilots through a series of events in order to protect his friends and to save Cecily.